The Gores Group acquired United Road Services (“United Road”) in November 2007 and provided the capital and operational resources necessary to grow the company revenue and market share during one of the greatest automotive downturns in history. Headquartered in Romulus, Michigan, United Road is the premier provider of finished vehicle transport and logistics in North America. 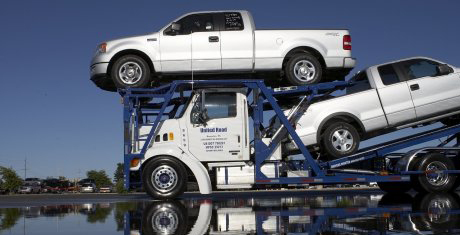 United Road serves 10,000 customers annually – including OEM suppliers, rental agencies, auctions, web-based logistics firms and individuals – transporting nearly 2 million new, remarketed and specialty vehicles each year. Prior to Gores’ acquisition, United Road was owned by Charterhouse Group. The seller was invested as part of a restructuring and balance sheet recapitalization in advance of taking the business private in 2004. Gores had been evaluating United Road since May 2007 and saw an opportunity to partner with a strong management team to create value in an industry leader that had not yet reached its full potential. Despite a challenging environment that saw new car volumes decrease by over 40% during the Great Recession, United Road significantly outperformed its peers and grew EBITDA under Gores’ ownership. The impact of the industry downturn was offset by an aggressive cost reduction program, an expansion of operations into Canada, and strategic M&A activity, including the acquisition of Autolog, a NJ-based vehicle logistics provider which added over 100 national pick-up and delivery locations. Additionally, United Road’s proprietary OVISS technology, designed to streamline logistic operations, significantly improved asset utilization, led to more efficient loads and routes and facilitated the expansion of the Company’s asset-light business during Gores’ ownership period. Better efficiency helped reduce United Road’s carbon footprint and in 2008, the Environmental Protection Agency awarded United Road its SmartWay accreditation, certifying it as the only “green” auto carrier in the U.S. In December 2012, Gores successfully sold United Road to an investor group led by Charlesbank Capital Partners.